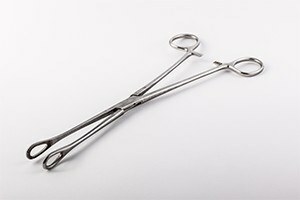 Forceps are birthing tools that may be necessary or helpful during a difficult delivery. Most often, they are used because a laboring mother is unable to push the baby out by herself during delivery, due to exhaustion, prolonged labor, illness, or medication. Sometimes forceps use is necessary due to the presentation of the baby. The forceps are usually put around the newborn's head to help lead the baby out during contractions. However, sometimes an obstetrician uses forceps inappropriately, causing trauma and birth injuries to a newborn. You should consult a Chicago forceps injury attorney if your newborn suffers this type of injury during delivery. The birth injury lawyers at Moll Law Group are available to help you recover compensation so that your child may obtain treatment. Serious injuries arising from errors involving forceps can include nerve damage, skull fractures, facial palsy, brain bleeds, or a misshapen head. Sometimes stroke, cerebral palsy, or seizure disorders are caused by a forceps injury. In some instances, there is also a risk of injury to the mother. These maternal injuries may include urinary incontinence, tears, uterine rupture, bladder injuries, pelvic organ prolapse, or anemia. Your obstetrician is required to keep your baby and you as safe as possible during the pregnancy and upon delivery. They are supposed to inform you of the risks involved with using forceps. If your newborn suffers forceps injuries, you may be able to recover compensation to deal with any medical bills or future treatment that becomes necessary. You will need to establish medical malpractice by proving that the obstetrician failed to conform to the accepted standard of care for obstetricians and that this breach caused the harm that your baby and you suffered. In most cases, the accepted standard of care for obstetricians will be established through expert testimony by another obstetrician. The standard of care can vary depending on the medical community where the doctor's actions took place, maternal health, fetal health, and various factors related to the delivery. When parents can establish liability with the assistance of a forceps injury lawyer in Chicago, they may recover both economic and noneconomic damages to put them back in the place they would have been in had the injuries not occurred. However, it is important to keep in mind that there are statutes of limitations that must be followed in order to maintain a lawsuit. In general, the statute of limitations in Illinois is two years from the date of the injury or from the date you reasonably should have known of the injury. In most cases, you have only four years after the event constituting malpractice to bring a lawsuit. Special rules apply to children, however. A malpractice lawsuit needs to be brought within eight years of the event you believe constitutes medical malpractice if the person injured was under 18 years old. The lawsuit always needs to be brought before the person who suffered the birth injuries turns 22. There are exceptions for people with mental disabilities, so if the forceps injury caused a mental disability rather than visible injuries, there might be an enlarged window of time within which to sue. In general, it is important to consult an attorney as soon as you suspect your newborn suffered forceps injuries. At Moll Law Group, our Chicago forceps injury lawyers are dedicated advocates for parents pursuing a claim on their children's behalf. Billions of dollars have been recovered in cases in which we have been involved. Our firm represents people in Wheaton, Naperville, and Schaumburg, as well as across Cook County. Call us at 312-462-1700 or complete our online form to schedule a free consultation with a medical malpractice attorney.